It’s confusing, it’s challenging, it’s expensive, but it might very well be the future of news. 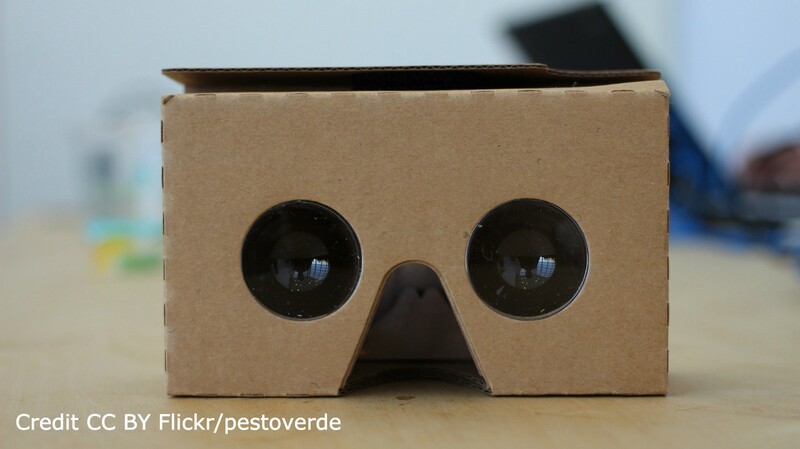 A Google Cardboard. Get one if you don’t already have one. Today, my colleagues and I published the very first 360° news video for my employer, euronews.com. It was for all of us involved a side project, even though I followed more closely the whole production process. I am grateful to have worked with such a dedicated team of people, willing to try, fail and try again with me. It was more than necessary to succeed. The medium is so new in many ways (while being decades old in reality), that pretty much everything we knew about filming, editing and post-processing news footage — which for me was very little — was irrelevant. We had to start from scratch, every step of the way. Long story short, it involved a shoot during a cold yet sunny morning of January (batteries suffered), 2 cameras graciously lended by the respective manufacturers (kudos to Ricoh and iZugar), and about two dozen hours to figure out how to stitch, edit, and post-process the video. The long story of how we did it, and how to best watch the video, is here. As euronews’ first experiment with the medium, I’m happy with how everything turned out. I chose this museum because I wanted to try a controlled, quiet yet spectacular environment for the first shoot. Now of course, I see about a million thing I’d like to change or I wish I’d do differently. The great news is that, even though the video is online, the learning experience continues, now with an analysis of the audience behavior. Hopefully, the future iterations will yield increasingly satisfying content. Rely on the community: some people have been doing VR/360° for years, well before the Oculus Rift was even a prototype, and the answers to many of your questions have been answered before. Use Google, check Twitter (my VR list), lurk Facebook VR groups, etc., before asking. There is not a killer cam on the market yet, no affordable solutions capable of shooting 60fps, 4K, easy-to-stitch footage at the press of a button. Any system you will chose will be a compromise on at least of one of these points. So choose wisely. Forget your good old camera tripod. It’s too bulky and the handle will stick out on the footage like a sore thumb. Use the much thinner self-standing light monopod. But beware of vibrations and/or wind. If you chose to appear in the video, like I did (Caveat: research indicates some viewers couldn’t see the point of having a reporter in the shot) pay close attention to what your body will block from the camera. You don’t want to stand in front of the action or a relevant part of the scene. Before you dive into it, it’s probably a good idea to download and read Making360, a free and open source guide for 360 video creators. I wish I did. VR storytelling & immersive journalism @rji & @euronews. @MundusJourn alumn. Beware the agelasts.